There’s a pretty interesting feature included in iOS that lets you run your iPhone in James Bond mode, causing the device to self destruct if an incorrect password is entered 10 times concurrently. Ok, well it’s not really called James Bond mode and it doesn’t actually self destruct, but it does erase all the data on the iPhone, which is basically the digital equivalent of self destruction. This feature is very effective, but it’s also unforgiving, so if you enter a password wrong often this is not for you. 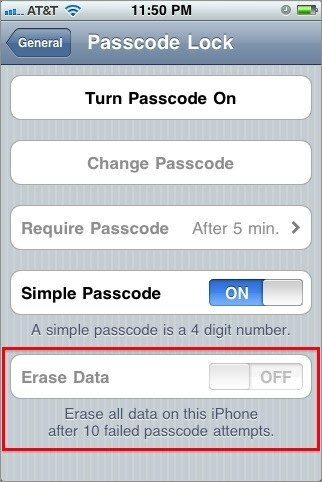 Enabling this feature will cause the iPhone to erase all data on the device after 10 failed passcode attempts have been entered. That’s it, the feature is enabled and after 10 failures, the data on the device is whiped clear. This is a great feature to enable if you are worried about theft or losing your iPhone and your iPhone has a lot of private data on the device that you don’t want in front of some prying eyes. Just be sure to backup your iPhone before enabling something like this, just in case! Does it still ask for the passcode after data gets wiped? If so a thief will then have a nice clean passcode free iphone/ipod touch to sell! At least he doesn’t have your data… Besides, he could do the same thing by just restoring it in iTunes. Please note that this is available on all iPhone models, but it may take several hours for the data to be wiped on the 2G and 3G because it actually overwrites the data with zeroes, whereas on the iPhone 3GS and 4 the entire filesystem is hardware encrypted, and they can just “throw away the keys” in order to wipe the internal NAND. Actually it would be called an “Ethan Hunt” mode. Ethan Hunt is from mission impossible where the term “This message will self destruct…” came from. Not James Bond. My daughter disabled my iphone be trying to unlock it too many times, it now says to connect to itunes but i dont have access to a computer. The phone is still receiving phone calls but wont do anything else. whats the best course of action? I’ve iPhone 6, it’s disabled for 1 minute. How to know whether the “Erase Data” option is on or off? 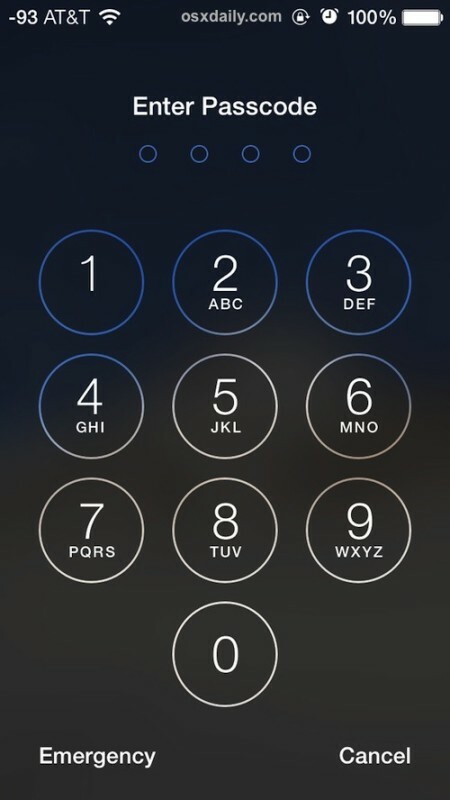 If you connect it to iTunes you might be able to put in your Moms passcode and use it immediateley.